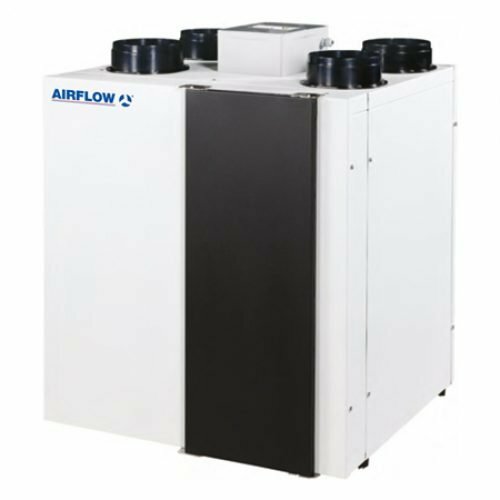 The air-handling units are the fully featured ventilation units with heat recovery for air filtration, fresh air supply and stale air extract. 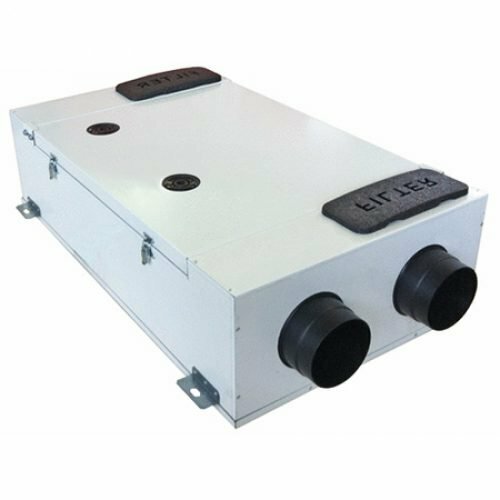 The heat contained in the extract air is recuperated in the high-efficient plate counterflow heat exchanger to warm up supply air. 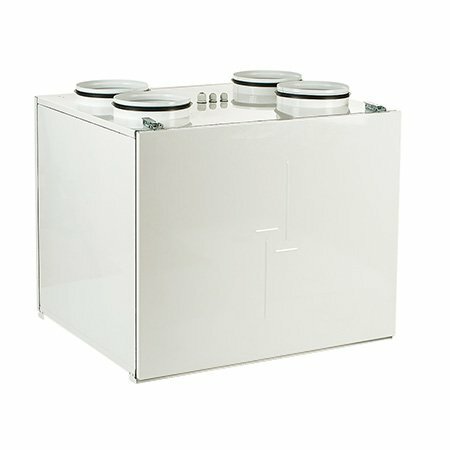 The units are designed for energy efficient ventilation of cottages and flats and are compatible with round air ducts. Made of high-quality polymer coated steel sandwich, internally filled with 20 mm mineral wool heat- and sound-insulating layer. 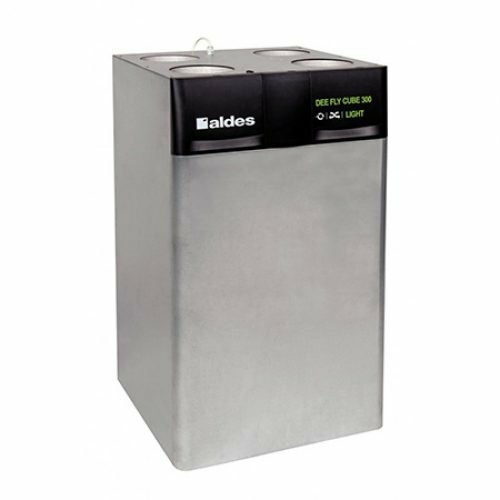 Supply and exhaust airflows are purified through panel filters with filtering class G4. A replaceable filter with filtering class F7 is optionally available. High efficient electronically commutated motors with external motor and impeller with backward curved blades. Such motors are the most state of-the-art energy saving solution. EC motors are featured with high performance and total speed controllable range. High efficiency reaching 90% is the premium advantage of the electronically commutated motors. Counter-flow polystyrene heat exchangers with high heat recovery efficiency. The drain pan under the heat exchanger block ensures condensate removal. 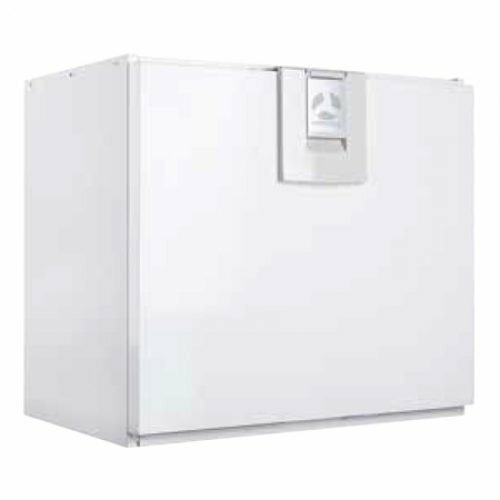 In case of freezing danger determined by the temperature sensor, the supply fan is turned off for the period required for the heat exchanger defrosting. The heat exchanger is easily removed for cleaning. The unit includes integrated automation. The heat exchanger freezing protection operates as follows: In case of freezing danger determined by the temperature sensor the supply fan is turned off to let extract air warm up the heat exchanger. After freezing danger is no longer imminent, the unit reverts to the standard operation mode. Delivery set includes a multifunctional control panel and a 10 m long signaling cable.